I like sports. I like football. I love baseball. I love basketball. But I rarely get a chance to sit down and watch a game. It is just not something I do too much these days. But when I get an opportunity to go to a game or games, like I recently did when I headed to Phoenix for spring training, I definitely take advantage of it and soak up every ounce of enjoyment! 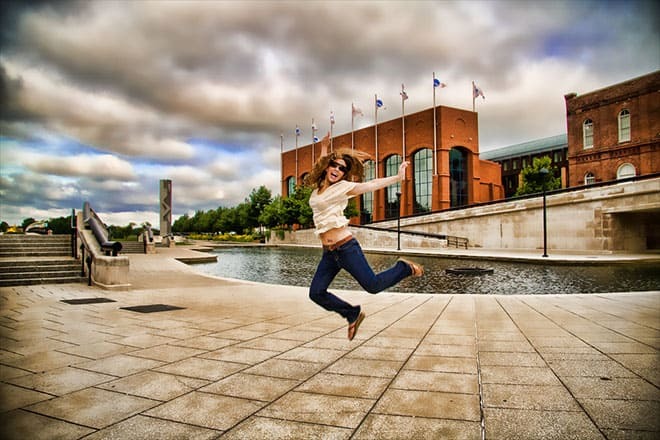 That’s not me in the photo above (it’s Marcy Kellar doing a jump in front of the NCAA Headquarters), but that IS totally how I feel about heading to Indy! The #ExperienceBuick bloggers are gathering once again to celebrate the brand, the business and the experience of Buick. 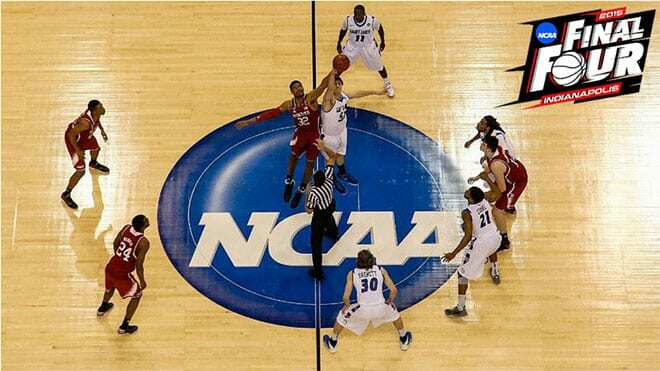 Buick has been a proud sponsor of NCAA college sports for years. For me it is an opportunity to visit a new city, one that I have actually wanted to visit for quite awhile. It is for purely nostalgic reasons, but what can I say? I have worked in the corporate world for over 25 years and my first office job was at the age of 19. I was hired by my [now] best friend to work 20 hours a week and I loved it. I loved everything about corporate life and very quickly moved from part time to full time. 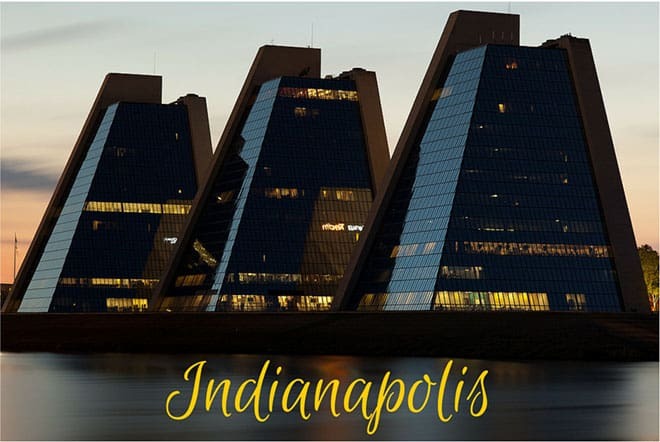 The company was headquartered in Indianapolis and from that time I have wanted to visit the city where some of the first executives I was exposed to came from. And now here we are! An impending trip to Indy and a weekend full of basketball with a new group of friends. I will be online (of course!) reporting throughout the weekend [mainly] on Instagram and Twitter so be sure to follow along and look for the #mwa_ncaa, #mwa_indy and #experiencebuick hashtags. If you are checking out the games during office hours, Buick has brought back their “Boss Button” which allows you to very quickly change your computer screen to a definitely-not-basketball-related presentation! Go to the NCAA Live website to watch the games and activate your Boss Button when needed! And what is March Madness without a little external competition? The #BuickExperience bloggers are competing in our own bracket competition where things are heating up! I am absolutely not going to brag (and with a serious knock on wood) look who is in first place (for the moment)! In addition to seeing all the college hot shots making some, well….hot shots, Buick is hosting a bracket challenge of their own with 16 skilled basketball fans showing off their own sweet trick-shot skills. Their bracket challenge is live on the Buick.com website. Each week, website viewers vote on their favorite trick-shot from the match-ups – and each week trick shots will be eliminated until they have a winner. How about you? Are you watching the games? Will you be checking out the finals? Have you been to Indianapolis? Have any tips? This post was written in conjunction with the #ExperienceBuick project I am participating in with Buick throughout 2015. Despite the compensation, all opinions – as always, are my own. @Krystel, thanks, I am really excited about that aspect of the trip! This is wonderful news!! Have fun, Andi. They’re so lucky to have you in their cadre of bloggers! @Jen, thank you my dear, I am looking forward to it! @Lois, champagne is on me! @Lisa, every bit of encouragement helps! I’ll take it! Not a basketball fan. But having grown up in Detroit, I AM a Buick fan. @Roz, yay! I am enjoying getting to know the brand and so far I like what I see! I’d have to agree with Roz, since I lived about an hour away from Detroit for many years! My son goes to Georgetown and I don’t even know if they are playing, in or out or…who knows!? Enjoy your trip, that sounds like fun! @Christina, Georgetown is in and one of my favorites! I used to live in DC and loved watching Patrick Ewing play there! Sounds like a really fun experience! I know a lot of people who would love to be at one of those games!! @Jamie, I definitely don’t take it for granted and will enjoy every second of it! Whoever you are with must be lucky… I hate watching sports with my guy! @Lauryn, would you believe my hubby doesn’t like sports??!! I am officially the guy of the family! Sounds like you’re off on a super fun adventure! Have a fantastic time!!! @Michelle, I think it will be, thanks for your warm wishes! I have to say that for someone who loved playing the game in HS… I really don’t get into watching basketball anymore. NOW BASEBALL?! That’s literally a whole other ballgame. However, I love new cities and traveling, and it seems like a great opportunity for you! Congrats and good luck! @Krysta, I love to watch nearly every sport live! LOVE baseball too! At 5 foot even I never had a chance to play basketball, but I always loved watching it in HS. That sounds like alot of fun! I am not super into watching games on tv, but I always enjoy getting to see one in person. Enjoy your trip! @Stephanie, agree, it is so much funner to watch them in person and be part of the crowd and the excitement of the game! @Christine, it is so much funner when one of your teams is in! This sounds exciting!! I’m not a sports watcher but I’m excited for you! @Jess, thanks, there are definitely going to be a lot of non-sports-watching activities too so it should be fun! My husband and son were talking about the finals and all this stuff about brackets…it’s confusing. I like to the watch the game but you’ll lose me if you have to explain anything to me :). This sounds like a great opportunity for you! I can’t jump that high so how about a high five ;)! Have fun dear! @Corina, I don’t understand the mechanics behind it all, I leave that to the math people, I just pick who I like as a school! I will take the high five! I love the picture jumping in front of the fountain i believe it is! Such a great fun shot. And visiting new places is always a blast! 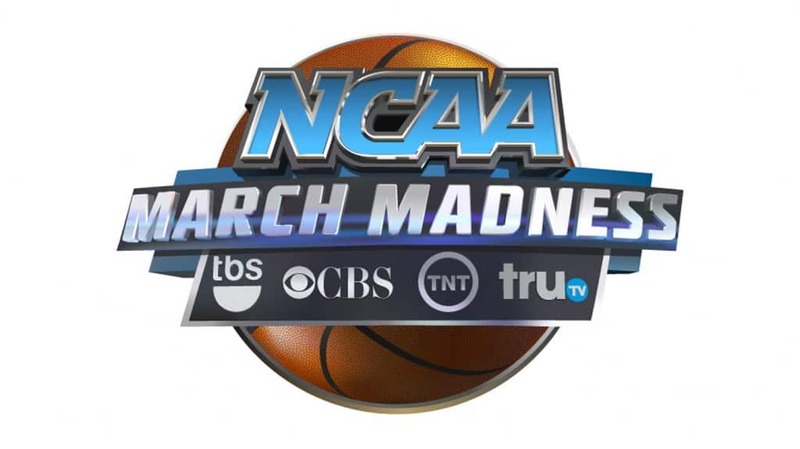 March Madness!!! @Breanna, I need to learn how to do great jumping shots like that! My friend Kristin Luna of Camels and Chocolates is a pro I need to get tips from her! I can’t say that i keep up with sports. I grew up watching them with my father and we had seats for almost every sport, but then I met my husband. We were watching football once and he said “home run”. So .. basically we gave up sports in our household! @Alexandria, my father watches sports on TV and we went to lots of baseball games as a family growing up, my first hubby was a sports nut and we watched everything on TV and went to lots of games as well. But with my current hubby he is not a fan, so I have adapted, but I still do love to watch live games! @Sagan, it is not something I do every day, but I do enjoy and with 11 other bloggers it is going to be fun just to hang out! @Lauren, Kentucky is my pick to go all the way, so let’s cross out fingers! I like sports too, but I’m only interested in it if it’s live. I don’t like watching it on tv. @Ronda, basically I am the same way. I watched them on TV when I was younger, but I just don’t have time. I do really love to see them live from time to time though! Ooh, good luck in the pool! Being first is almost more nervewracking, because you know you gotta stay on top! @Diane, I know! It’s killing me, everyone is gunning for the position! @Tania, we will be enjoying them virtually together! Gotta admit I’m a bit jealous that’s going to be awesome. Have a great time! I LOVE basketball.